Chelsea lost 2-0 to Rapid Vienna in Antonio Conte’s debut on the Blues bench with a string of errors handing the hosts victory. Conte will be furious with the poor defending that gifted Die Grün-Weißen the 2-0 win after coaching an outstanding Italy defence at Euro 2016 this summer. Chelsea were guests of honour for the inaugural match at the new Allianz Stadion and there was a sensational atmosphere with 28,000 fans packed into the ground. It did not take long for confusion at the back to gift Rapid the lead when a botched offside trap let in Brazilian striker Joelinton, who neatly rounded Asmir Begovic to break the deadlock. Diego Costa appears to have turned up for pre-season in better condition than last summer and the Spain international twisted and turned before firing just wide of the post moments before half time. Rapid were a constant threat and their high tempo, combined with an intimidating atmosphere and clouds of green smoke, made it difficult for the Blues to settle on the ball. 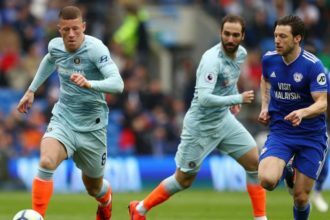 Chelsea had pushed on in search of a late equaliser and Rapid smartly picked them off with Begovic fumbling a fierce strike into the path of Tomi, who duly converted to seal the victory. Conte, who will now turn his attention to next Wednesday’s game against RZ pellets, revealed how tough today’s game was after a gruelling training schedule. “Today’s game was very difficult, because we have had some very hard training sessions with strength and tactical aspects,” said the former Juventus coach. “I don’t like to lose, and this is the same for my players. 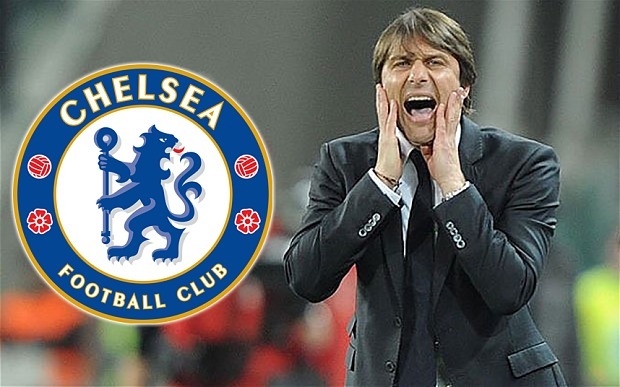 We can learn a lot from this,” Conte added. Despite suffering defeat, Conte was in good spirit after the club confirmed the signing of France international N’Golo Kante for £30m from Leicester and the Italian couldn’t hide his delight at the news. “I want to say that Kante was a target, and for this reason I am very happy that the club have bought this player,” said Conte. “He (Kante) is a good player with great technique and stamina,” he added. “If you want to win, you need this type of player.